Time for something pretty! Practically Perfect, a collaboration with designer Ju Kneipp, is whimsical kit that is fabulously feminine! With playful combinations of soft pastels, bold reds, polka dots, ribbons & glass buttons this kit is wonderful for scrapping tea parties, dress up adventures, or even a "jolly holiday" with your favorite magical nanny! With a wide variety of papers & embellishments, Practically Perfect will be a kit you reach to again and again, for both everyday moments, and more formal events. Perfection! 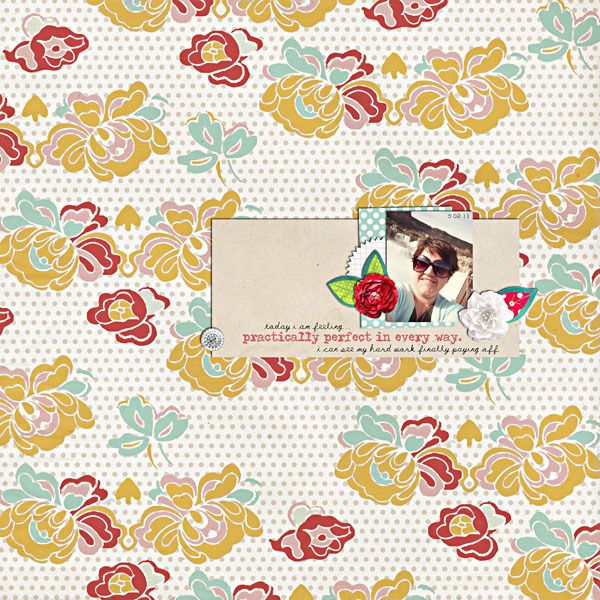 Be sure to pick up a coordinating freebie on my blog.